DataBid.com has invited you to receive the free Ontario Construction Report weekly eletter update, and you can start receiving the news with just a few more clicks. The e-letter summarizes some of the major stories and opportunities within the industry. It designed for quick reading — you can dig into topics which interest you but you don’t have to wade through masses of information to discover what you want to learn. 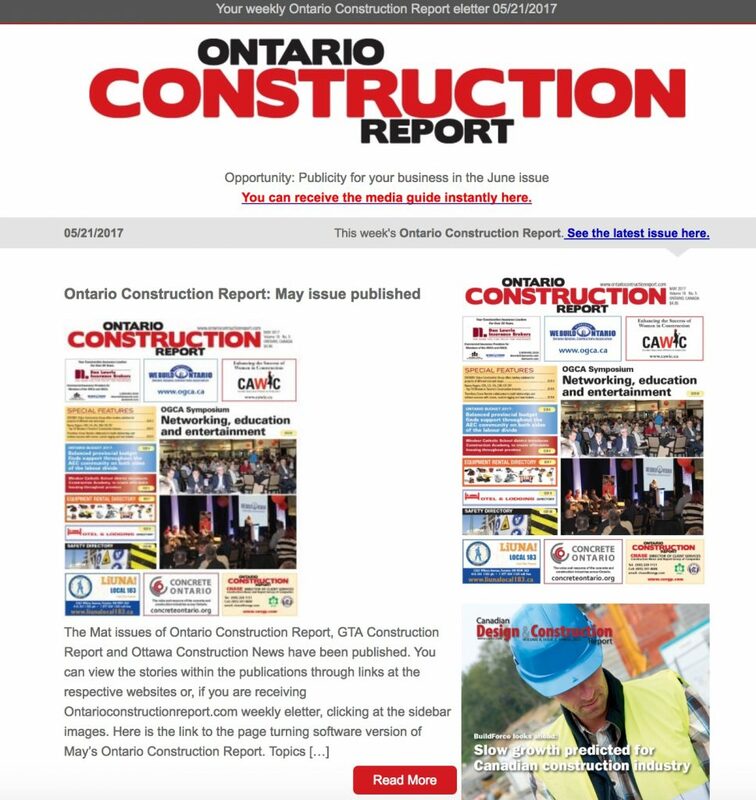 Ontario Construction Report generally sends the e-letter on Monday morning each week. You will only receive the e-letter if you request it — and of course you can cancel any time and you won’t be bothered again. To request your subscription, simply complete this form. Please start my free weekly eletter news Ontario Construction Report service. I can cancel anytime.